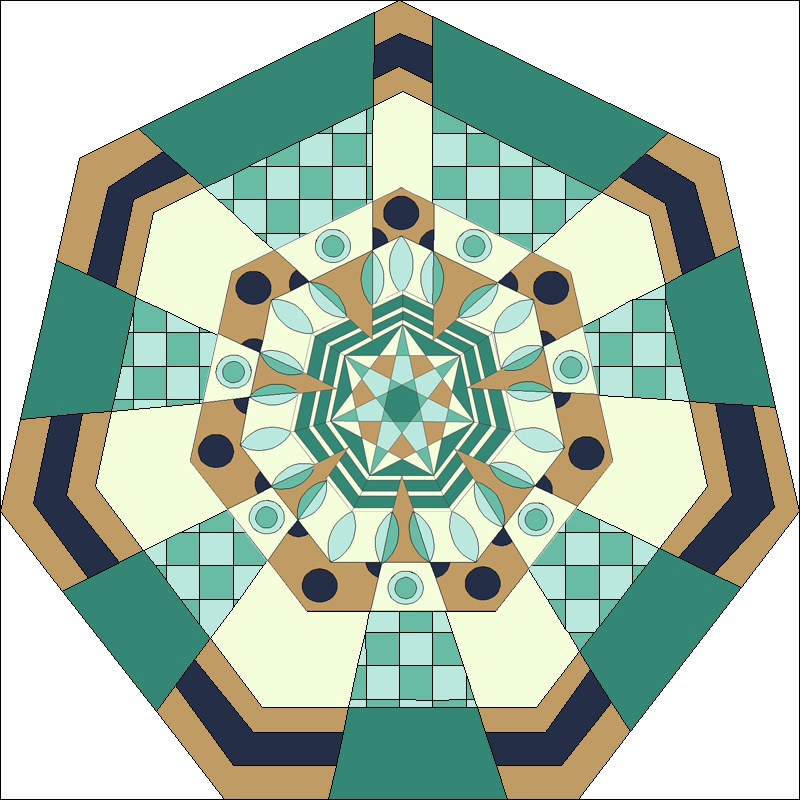 Quilt Design a Day (QDAD) is a wonderful design challenge. I dabble in it from time to time, but this past week I committed to working on a design each day because it was Medallion Challenge week. 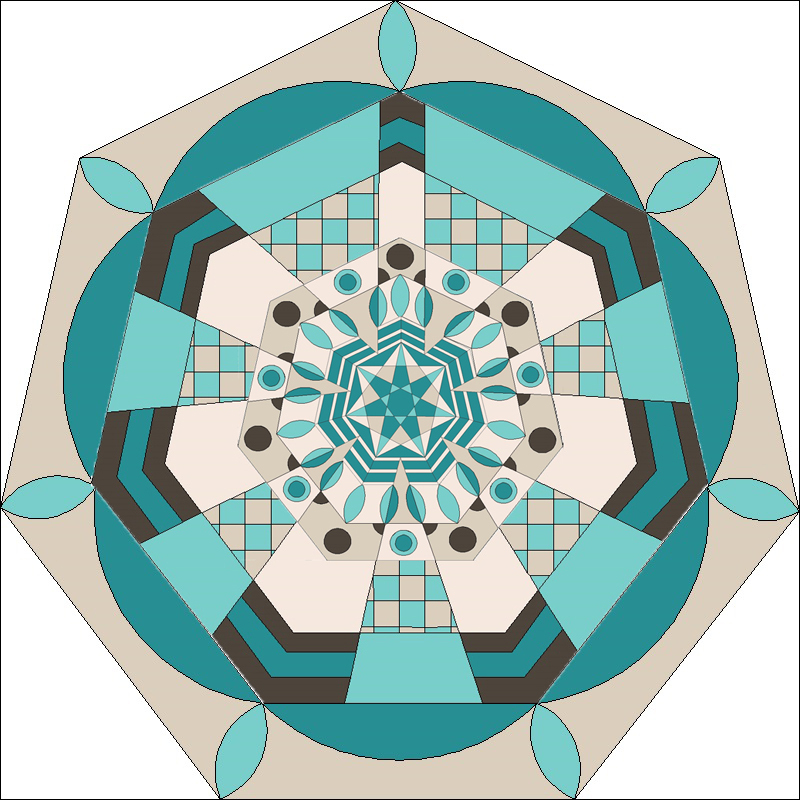 On the first day, the goal is to create the design for the center of a medallion quilt, and each day the goal is to add a new border to the full design. I chose to change my color scheme to match the color palette for the day (except for the final day where I chose my favorite color palette from the week). To see all the inspiration photos (known as “sparks”), you may visit the QDAD Facebook page. 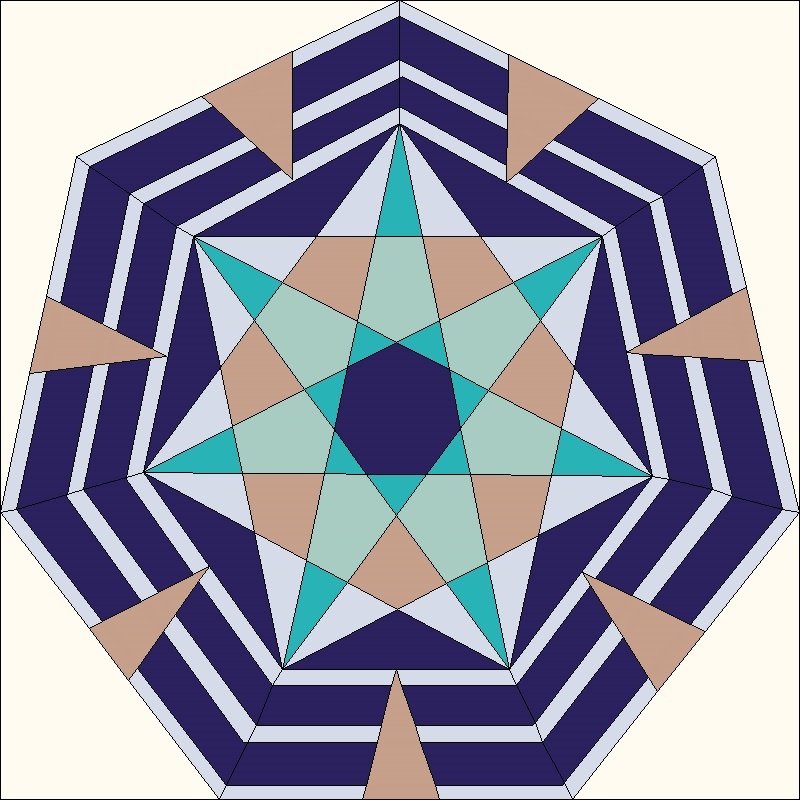 20150329 – Medallion Center – A Heptagon! 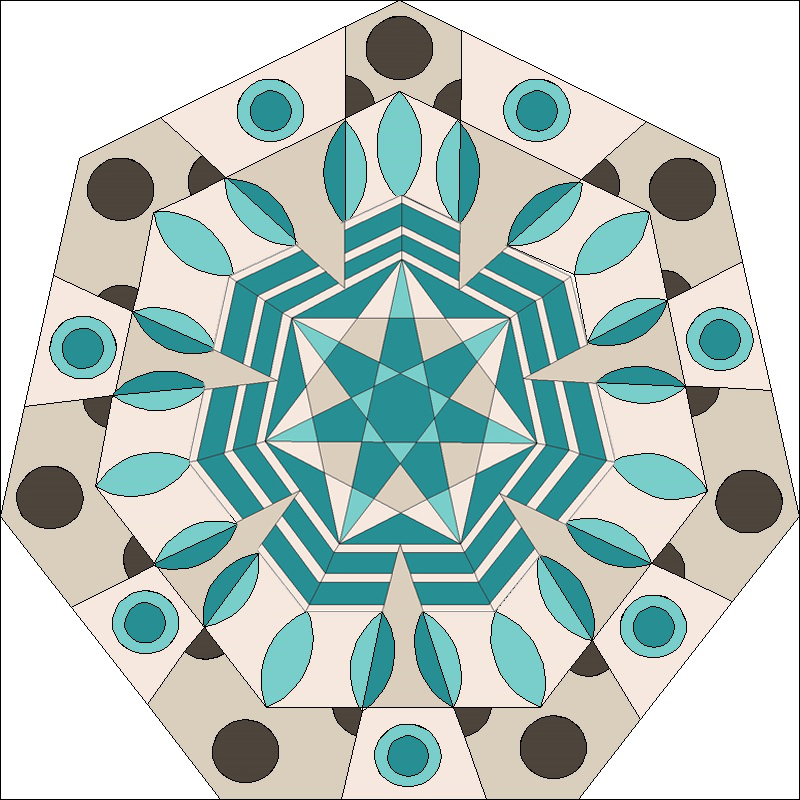 I don’t know exactly what I was thinking… but I chose to make the center of my medallion quilt a heptagon (7-sided polygon). The shape was in the design seed image, and I knew it would be a challenge for me to keep the shape / pattern going. Boy was I right. 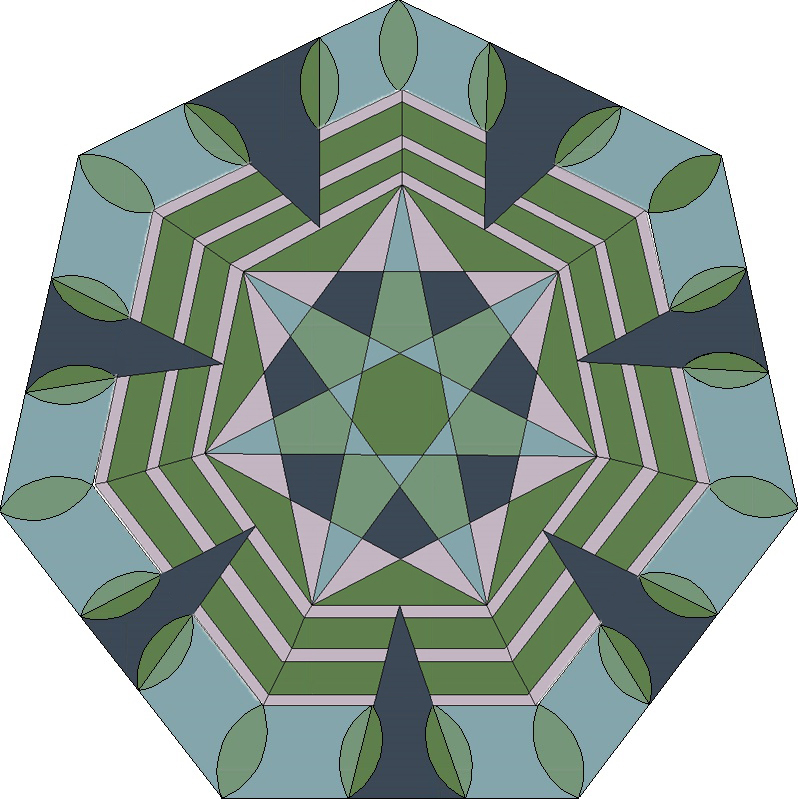 I realized quickly that the heptagon shape would push both my skills and the capability of EQ5 to the max. It was pretty fun to really push to learn what I / the software can do. At this point I was redrawing the shape each day. And this is the day that EQ5 had had enough! I think that the need to put this many lines into a block design was just too much for the software. So, I learned how to incorporate updated borders using Photoshop, and I started having multiple files in EQ5 that I would go back and update with the daily color palette to get images to stack in Photoshop. It was quite time consuming, and I ended up learning a bit about Photoshop along the way, too. I had incorporated some curves in Border 2, and I wanted to add circles in Border 3. 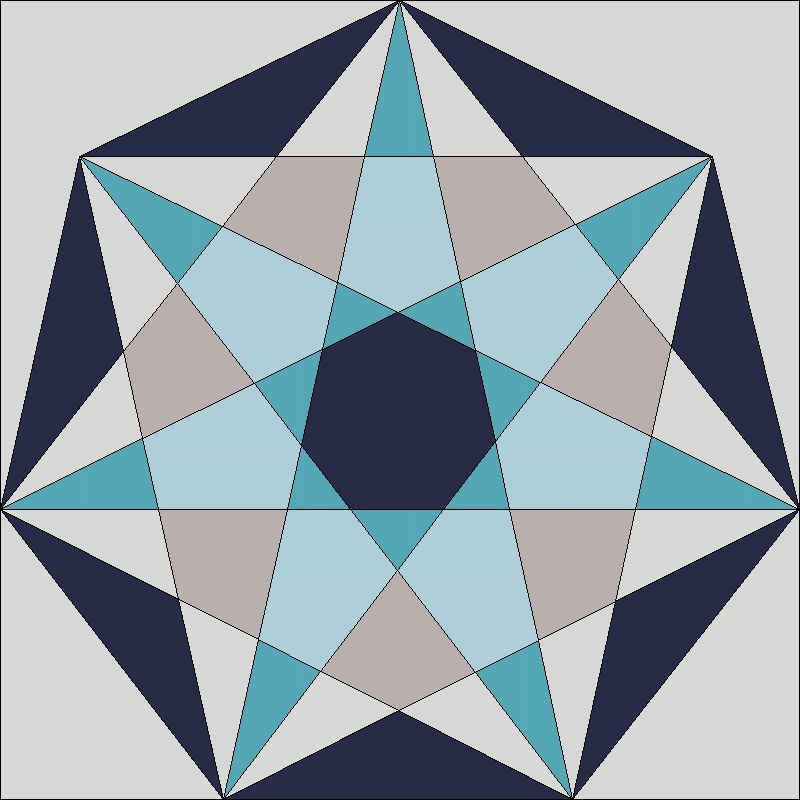 I really wanted to push myself to having the curves “peek” around the hard edges of the heptagon, and that took some time to sort out in EQ5. Not perfect, but again, I was learning a lot. As you have probably noted by now, I have quite a thing for the color orange. However, this was the color palette that I struggled the most to use all week. I also had a hard time lining up the borders on this day, but knew I would have the opportunity to redraw it all the next day, so I stopped at “good enough”. As I mentioned, I redrew Border 4 when I made Border 5, and I decided to switch the placement of the checker board pattern. I don’t know that I love the switch, but after the time investment, I (once again) decided this was good enough work for the day. Today was the last day of the challenge, so I went back to my favorite color palette of the week for the final design. The inspiration spark image for today had lots of curved shapes, and I also really liked the early borders that were broken up by softer shapes. All in all, I like the center of the medallion and the last border the most, and I had a great time learning a lot through this design challenge! If you are interested in QDAD, there is a lot of great information on the group QDAD Facebook page. I would encourage at least lurking around the group page, as there is a constant stream of inspiration that can be found there. That is really cool. Hadn’t heard of QDAD, so thanks for sharing the facebook page. I’ve been lurking around there for the last 30 minutes now. I’m still trying to get used to EQ7 and this might be the way to do it, if I can stay motivated. Your design is amazing! I love it. I am so impressed you were able to get EQ to do some of this, that program seems to get very unhappy when you try to move away from square and rectangle lblocks. Oh man this is so awesome, and I love the final pallette you chose! Seeing all of the progress photos together is really neat, it’s an amazing medallion! These are really gorgeous, and what a cool idea! One day I will get EQ and will be able to play along with this! I love how the leaf shapes and curves give it a more organic feel, and the color variations are phenomenal! 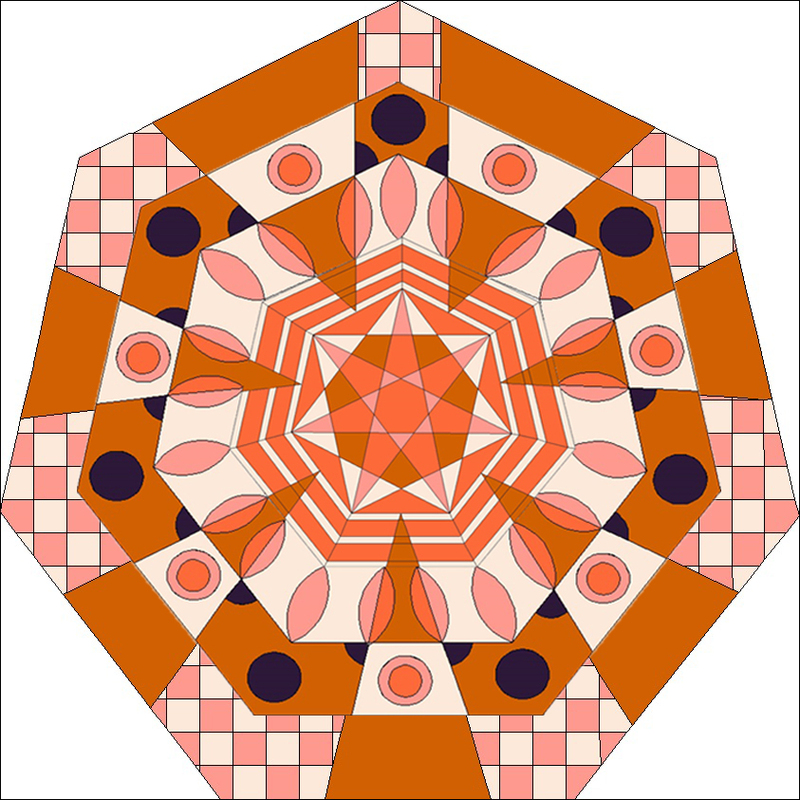 What an interesting challenge – are you planning to make the quilt? I really admire how hard you are prepared to push yourself. Really interesting to see how it developed. Are you thinking about making a quilt along these lines now? (Knowing you, I’m half expecting you to reply that the quilt top is almost pieced already!) I’m not sure why, but there’s something about this that reminds me of your cocoa leaf quilt.